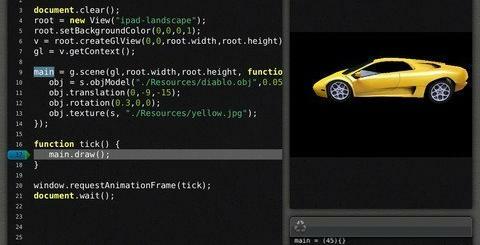 iPhone is more than just a smart-phone. It can take over every aspect of your life and help you get more done on the road. It also has its benefits for business professionals. Not only it makes it easy for iPhone owners to connect with others more effectively and network more easily (using Facebook, Linkedin, and other sites), it can help them manage their contacts and build relationships much more easily. CardReader: a handy app for anyone who has to handle a whole lot of business cards. If you are attending networking events left and right, this app can help save you time. 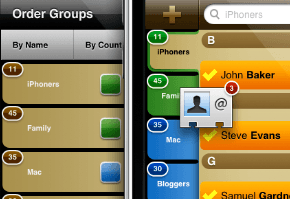 Groups: a drag and drop contact management app for iPhone that enables you to group your contacts together much more effectively and stay with touch with them with group messages and other means. 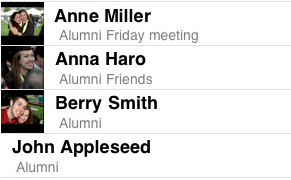 ABContacts: an advanced contact manager app for iPhone. 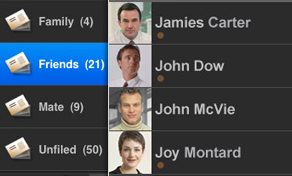 Lets you put your contacts in smart groups and set up rules to help you manage your lists much more easily. Pretty powerful. Sync In a Blink: a cool contact iPhone app that is designed to synchronize your Google Gmail Contacts with the contacts on your iPhone. It takes care of conflicts as well. 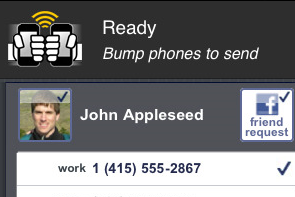 Bump For iPhone: one of the most popular contact apps for iPhone. 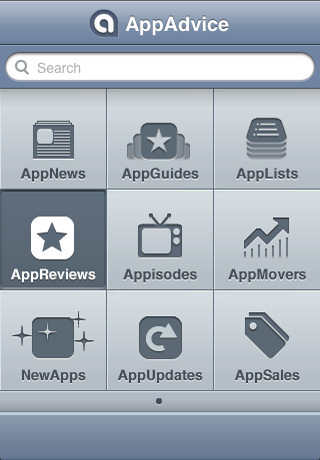 It makes it so easy to share information with other iPhone owners. Just bump your phone in your hand against others, and you are all set. WorldCard Contact: a contact manager and business card organizer for iPhone. 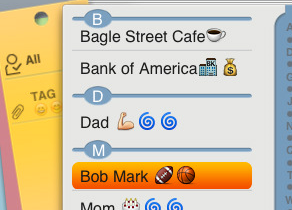 Can handle groups as well and allows you to communicate with your contacts and groups easily. 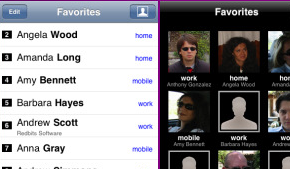 TagMe for iPhone: it enables you to transform your contact lists and tag the people in your contact list easily. It certainly makes it easy to remember people. Remove Duplicate Contacts: when combining multiple lists, you may end up with duplicate entries in your contact database. 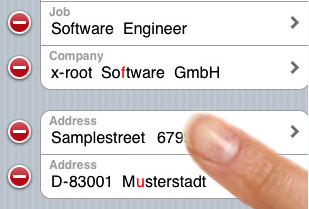 This contact application for iPhone gets rid of those entries and cleans up your database. 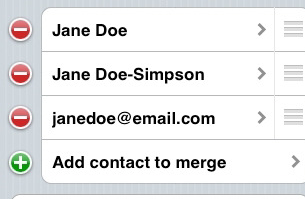 What’s your favorite contact manager for iPhone?